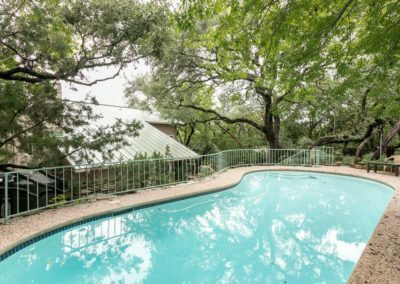 Welcome to the Emerald Oasis Retreat, a luxury experience located in the heart of South Central Austin. Premier location, high-end design style with a contemporary mid-century Hollywood Asian theme thru-out. 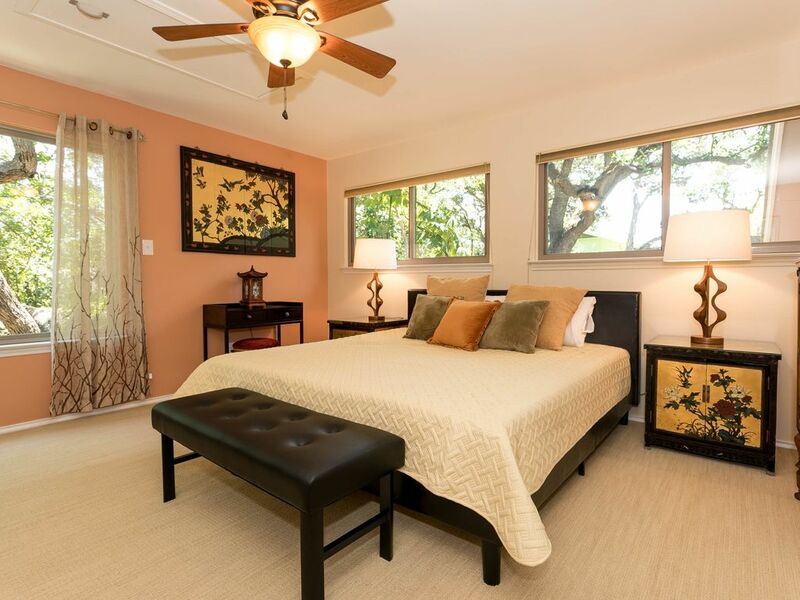 Tranquil and Zen private resort like setting with swimming pool extraordinary landscaping and luxury amenities! 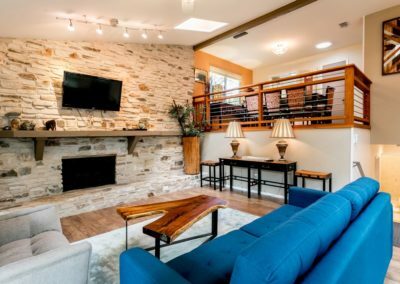 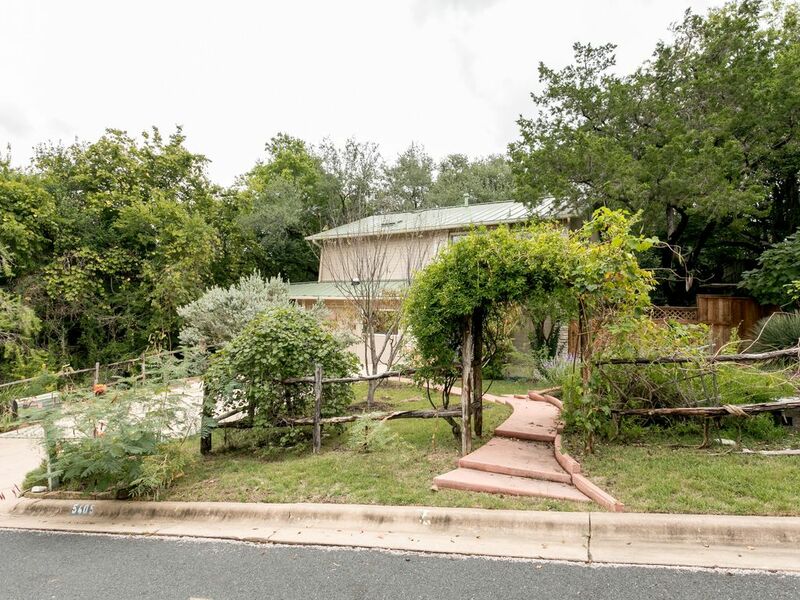 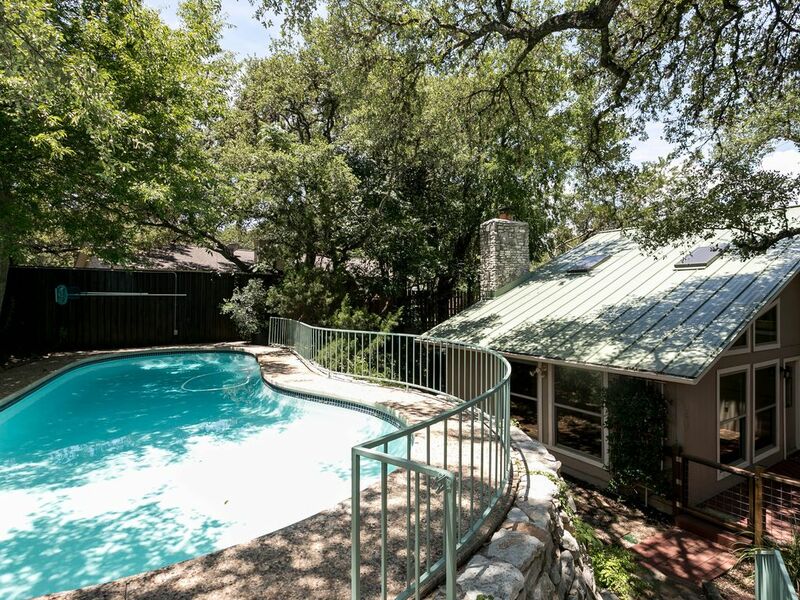 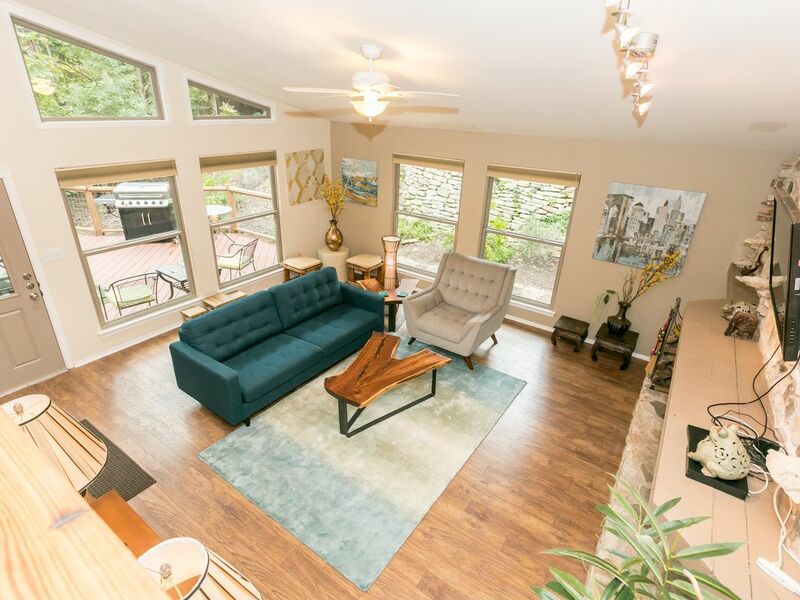 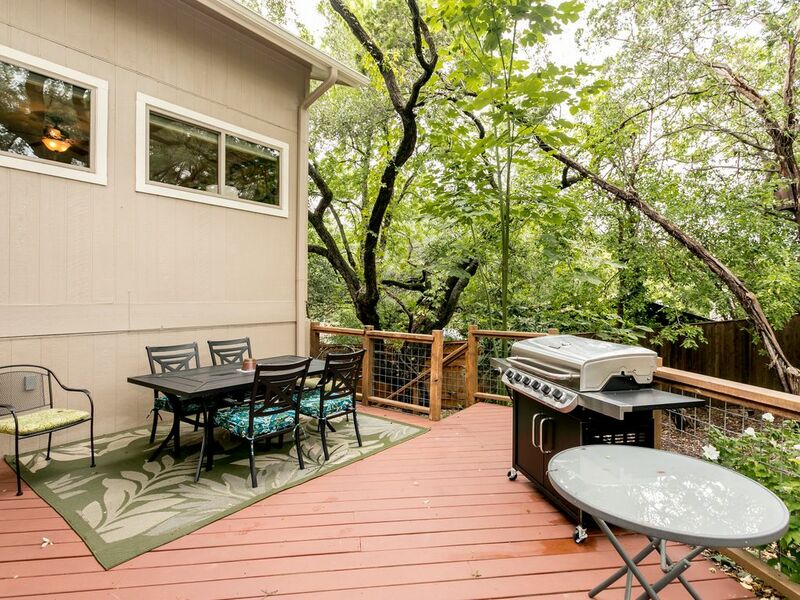 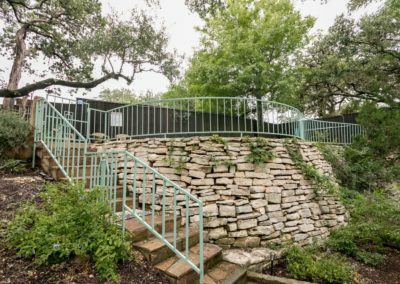 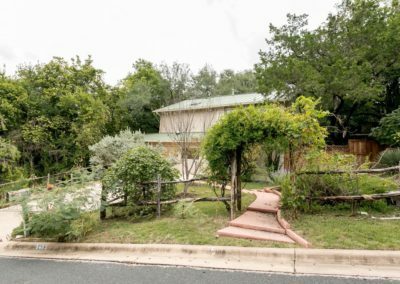 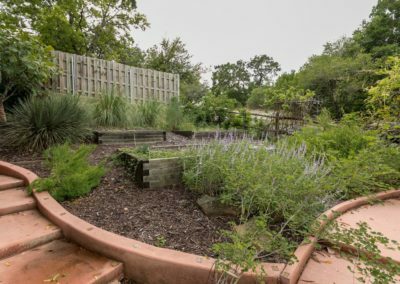 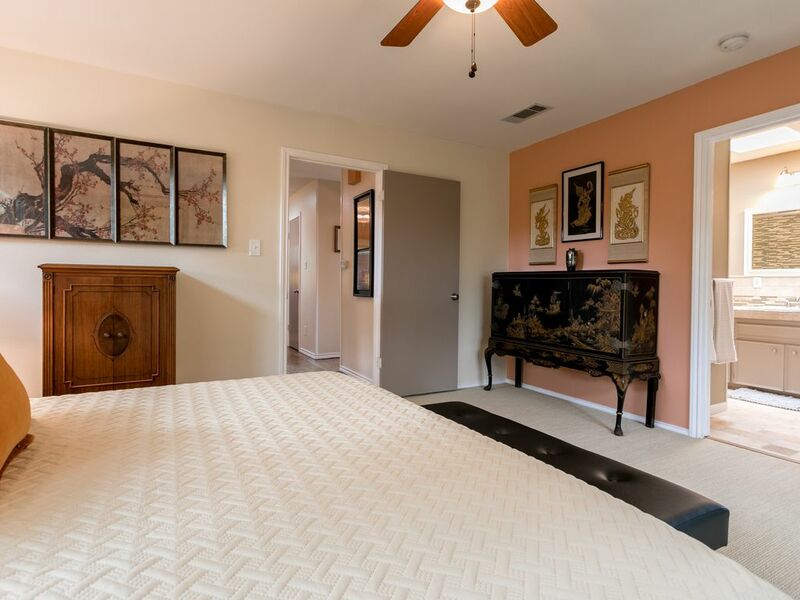 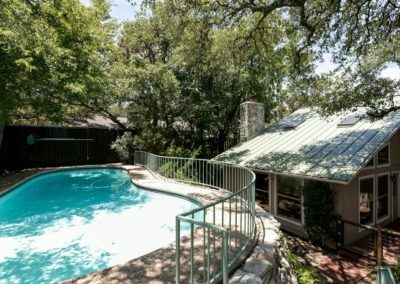 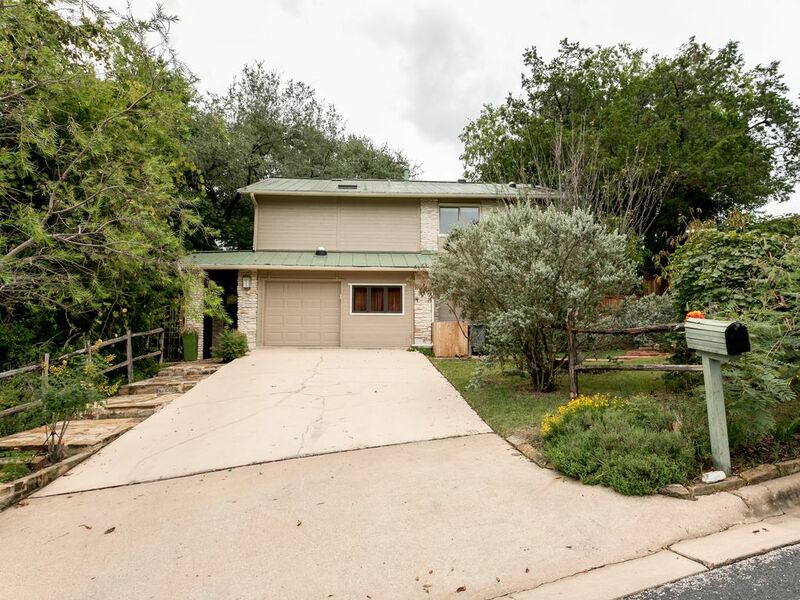 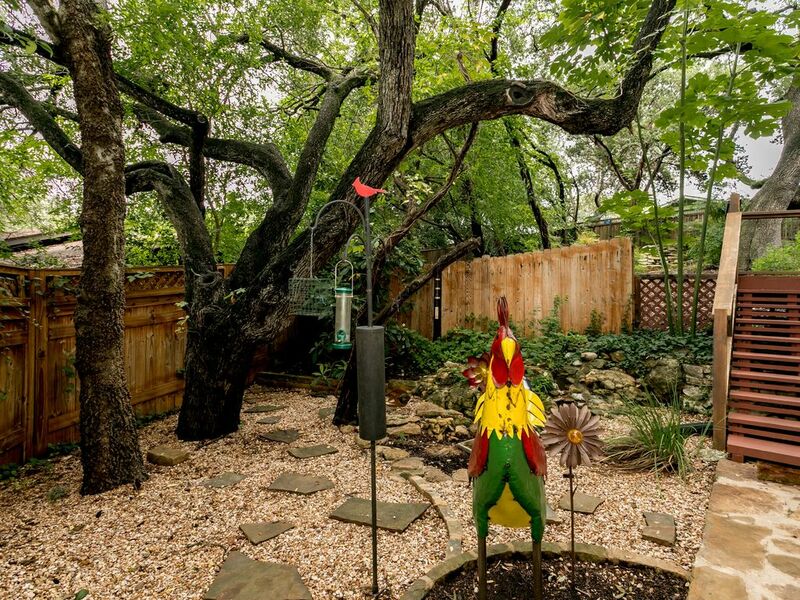 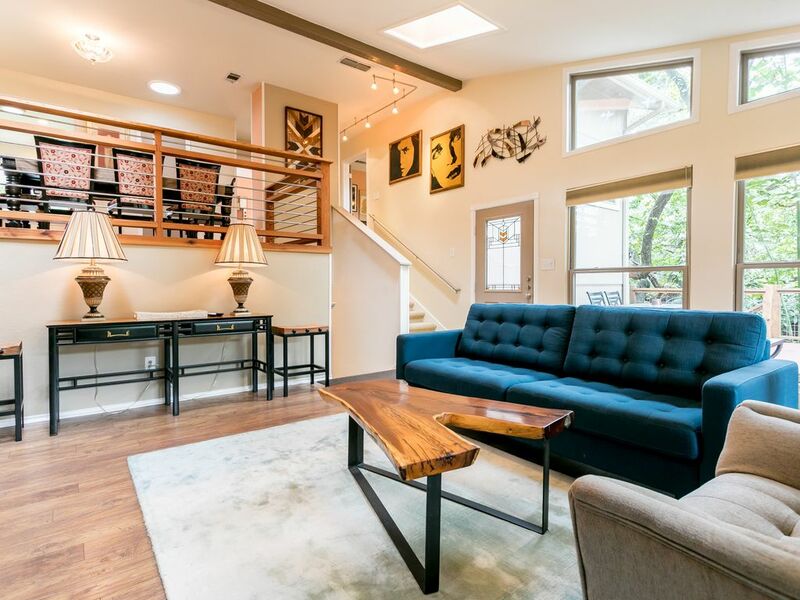 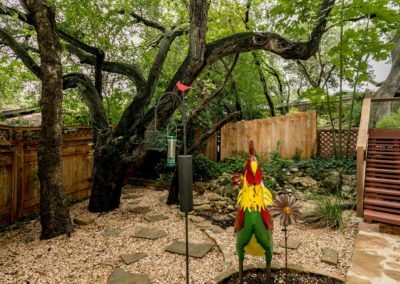 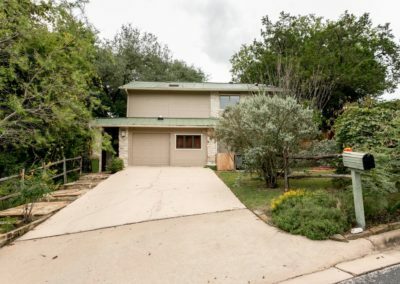 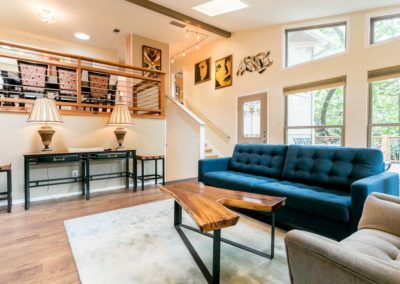 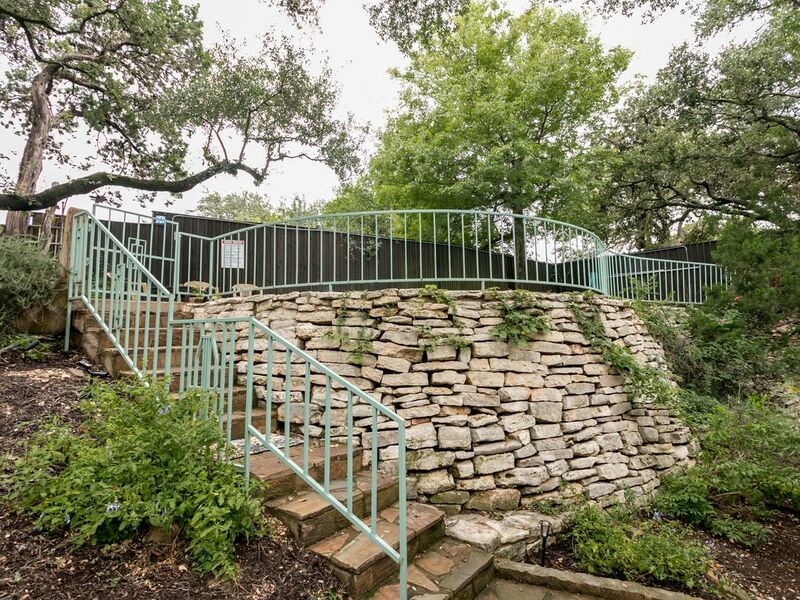 This gorgeous, large Mid-Century tri -level home is nestled in a quiet South Central Austin neighborhood perched on a secluded hill of its own, with a 7 ft cedar privacy fence around the entire property with many outdoor sitting areas to enjoy and entertain year round. 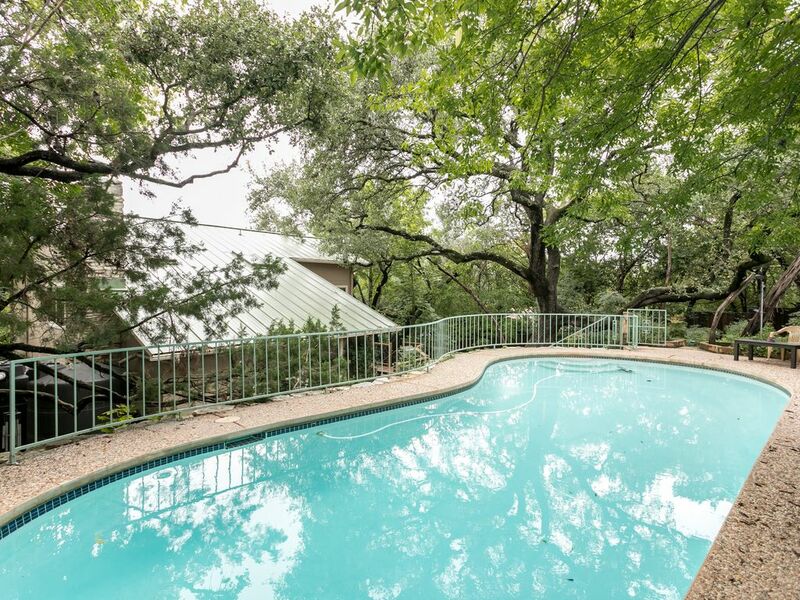 A feeling of tranquility begins the moment you step out into the breathtaking backyard – the spectacular lush foliage surrounding this lovely home is like having your own private botanical garden with large majestic trees, herb gardens, fruit trees, jasmine and ivy growing up the limestone wall that leads to the refreshing pool. Several stepping stone rock paths to follow will ease your mind into a Zen and peaceful place. 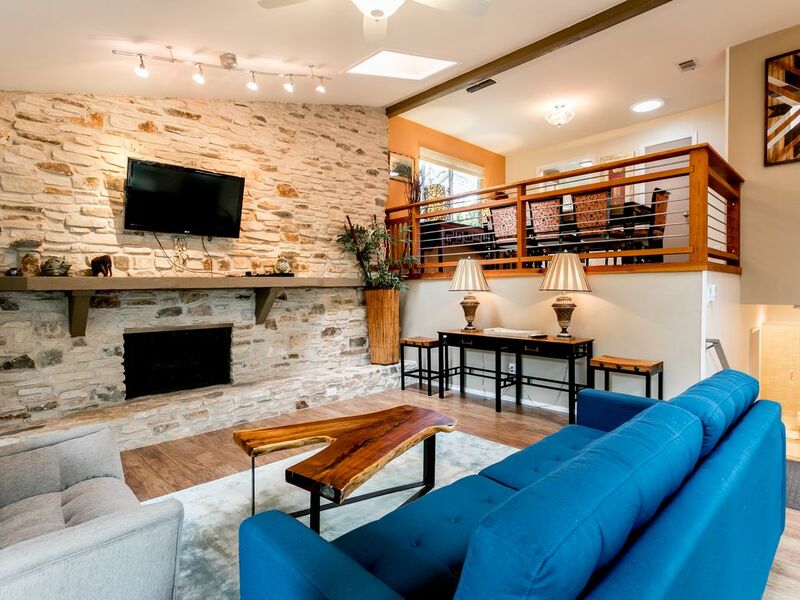 This marvelous home is a wonderful retreat for big groups of friends and family. 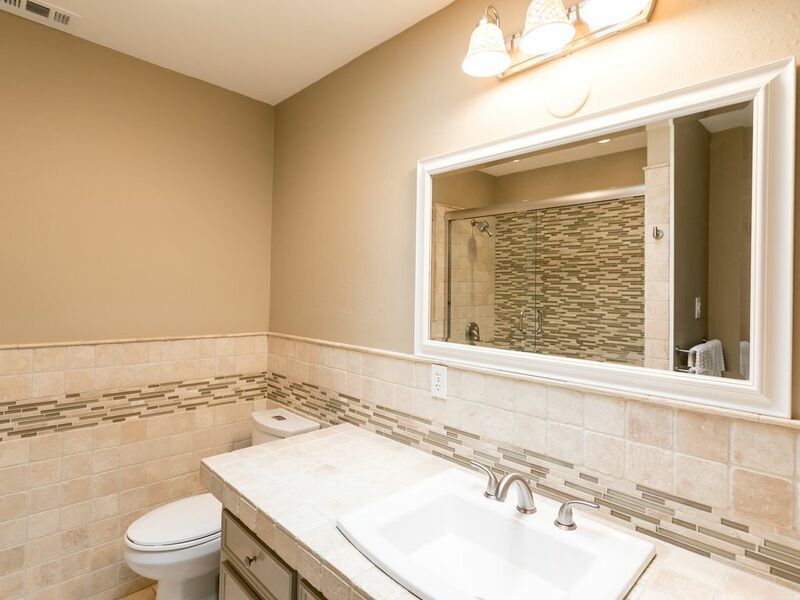 It boast 4 lovely bedrooms with 2 bathrooms and has nearly 1700 sqft of spacious living with lots of natural light from large picture windows and skylights throughout. 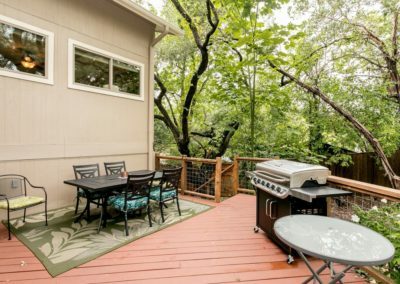 The beautiful spacious deck overlooks the gorgeous backyard and is a great place to fire up the grill for a family BBQ after a nice swim in the pool. 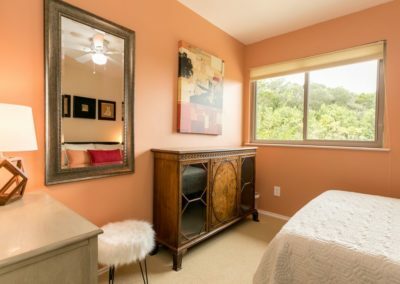 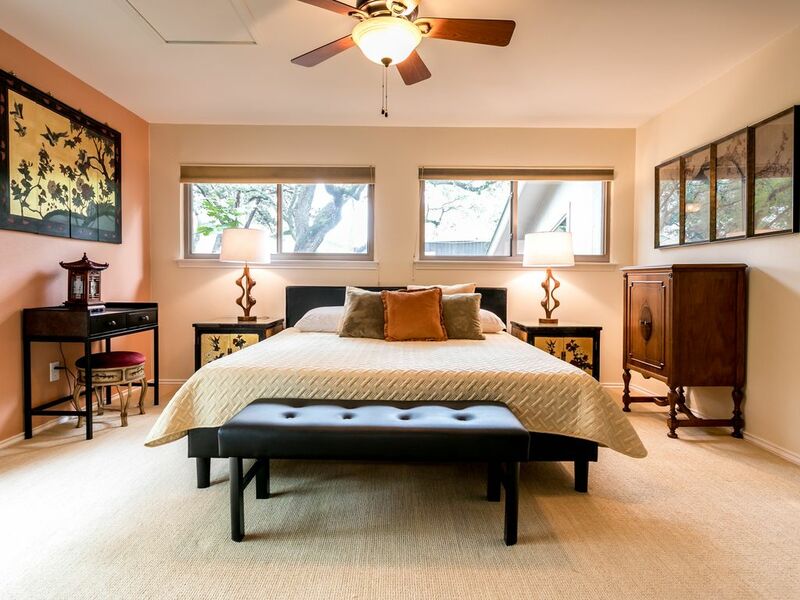 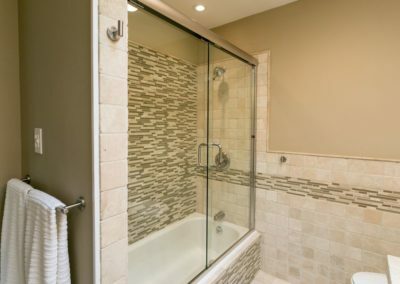 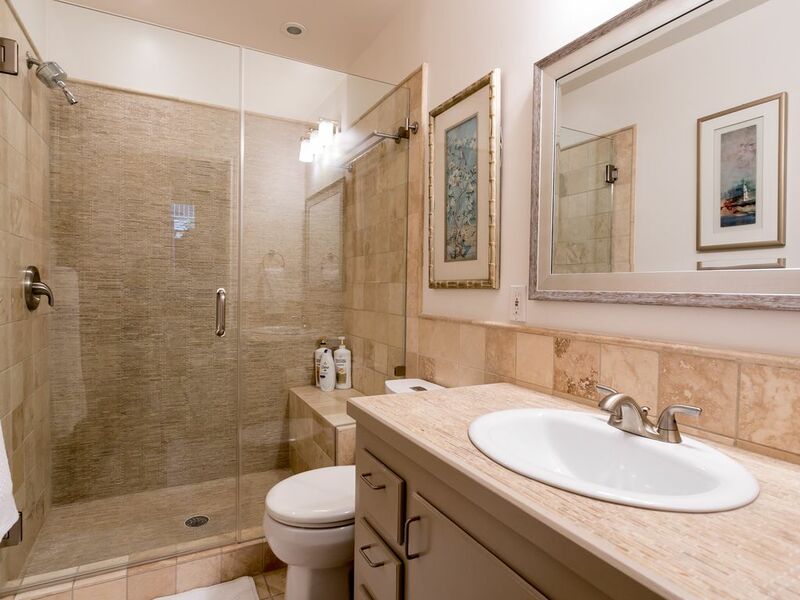 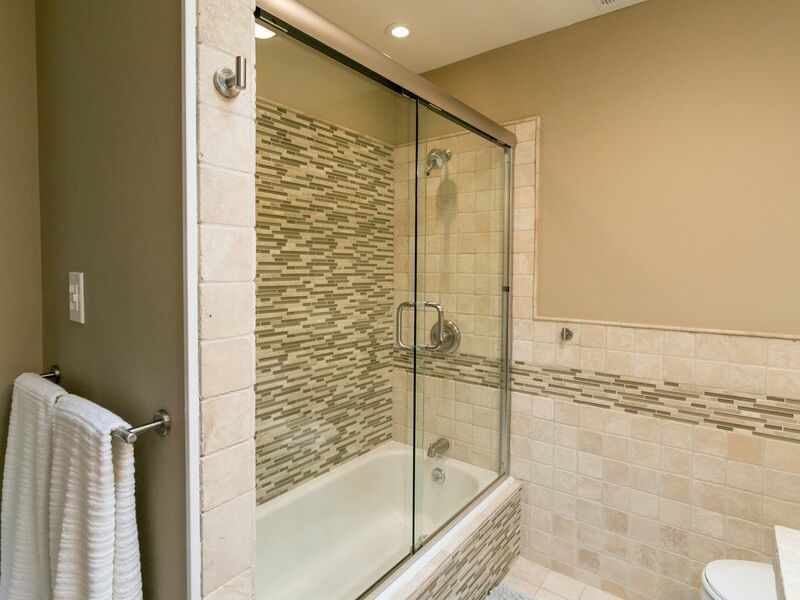 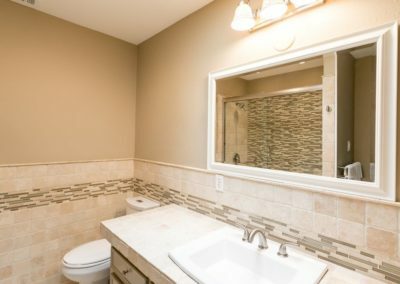 The master bedroom is on the top floor with amazing windows and a view of the backyard, includes a king sized bed, walk-in closet and a large spa like en suite with a shower/tub combo and skylights. 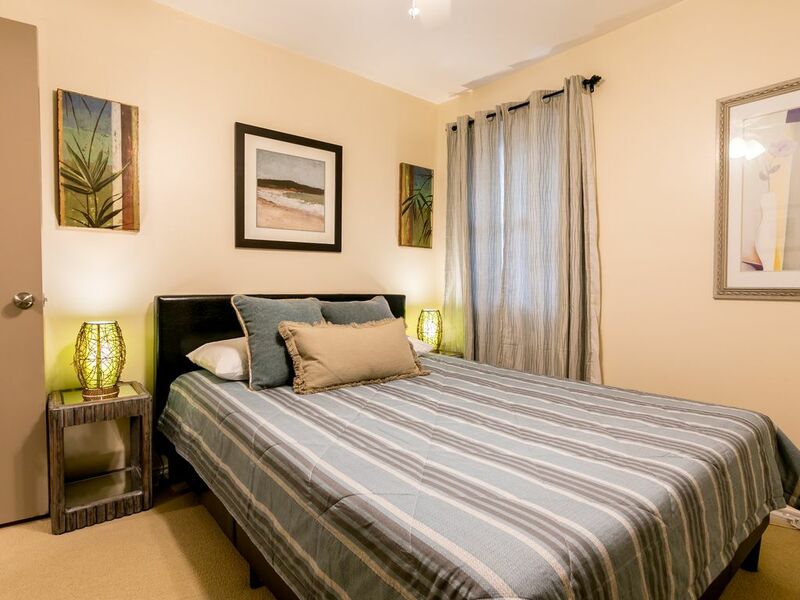 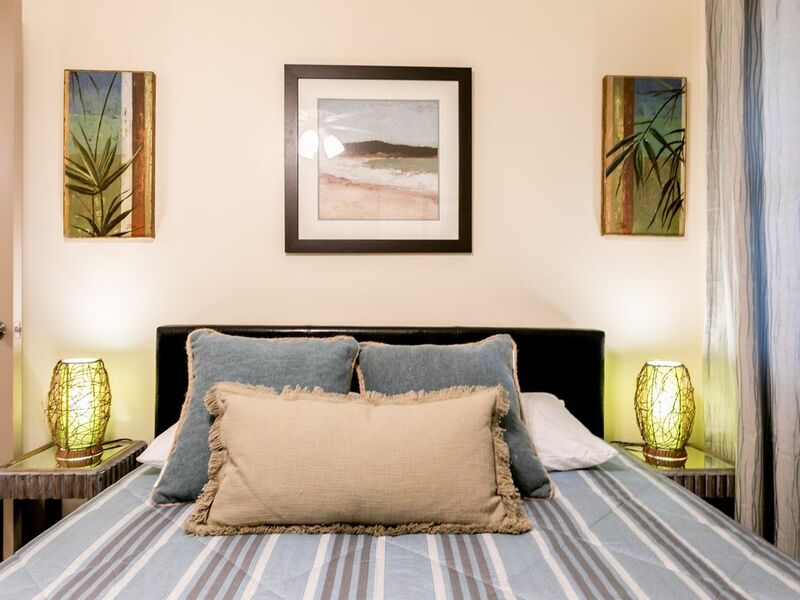 There’s a small bedroom next to the master bedroom with a full size bed, closet and plenty of room one or two guests. 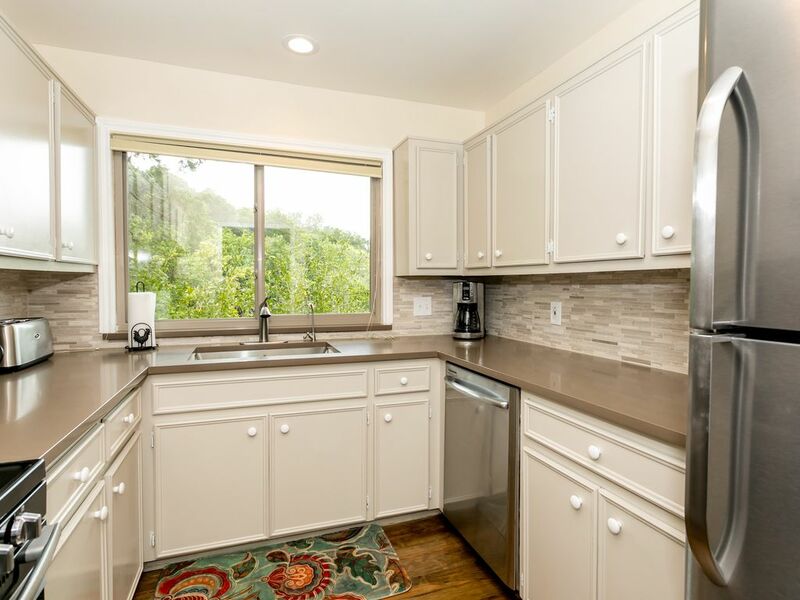 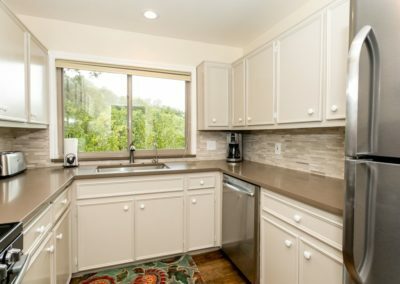 The kitchen has a modern / contemporary design style with quartz countertops and stainless steel appliance. 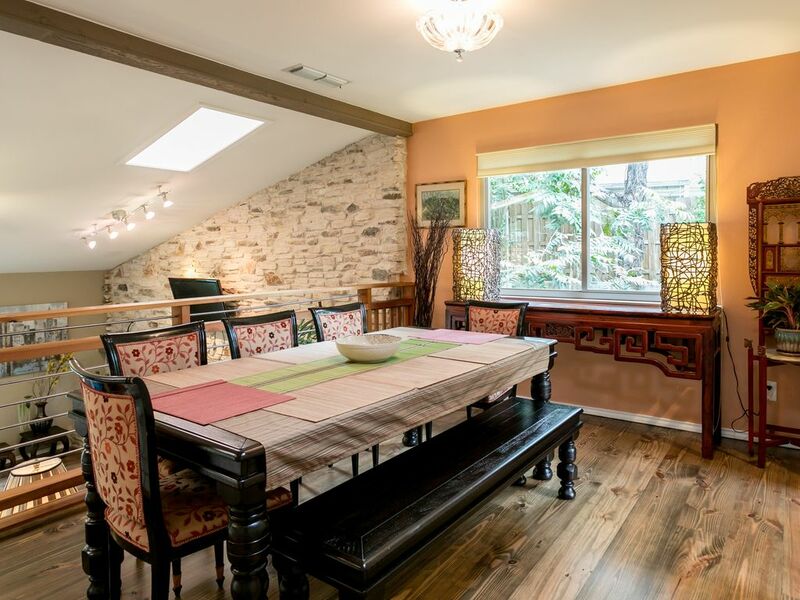 The dining area is a wonderful place for large gatherings with a dining room table that sits up to eight people comfortably and is framed out with a cedar wood / stainless steel railing that is open to the living area with amazing view of the living room and backyard. 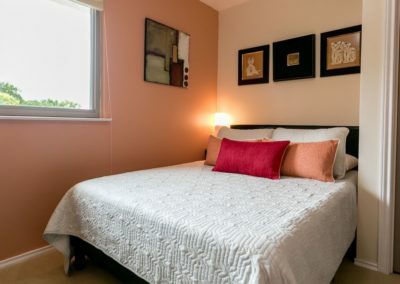 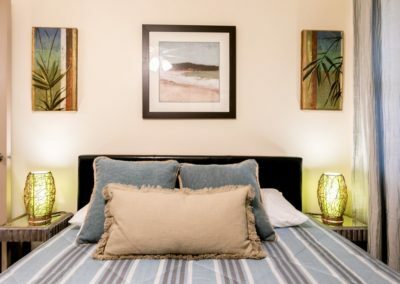 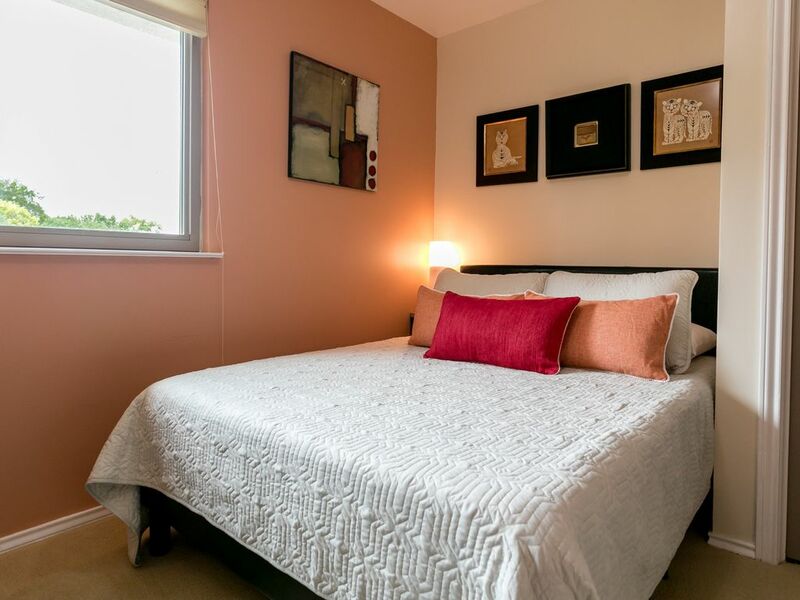 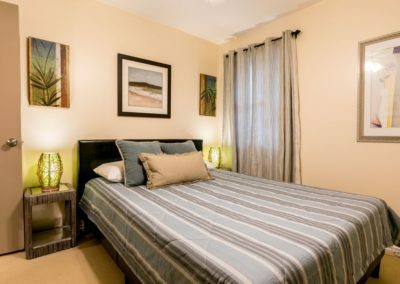 The other two bedrooms are located on the ground floor which includes two queen beds and a hall bathroom that is shared. 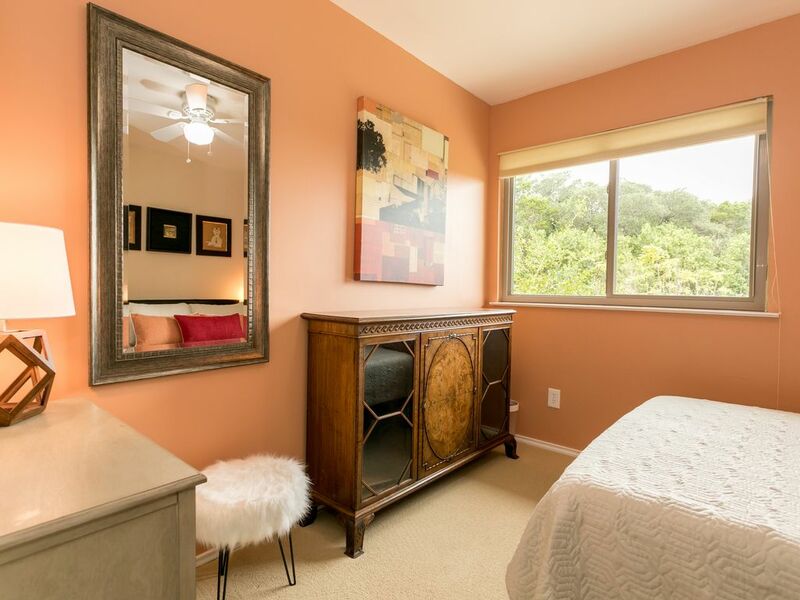 One of the downstairs bedrooms has a private door to the backyard with its own private patio. 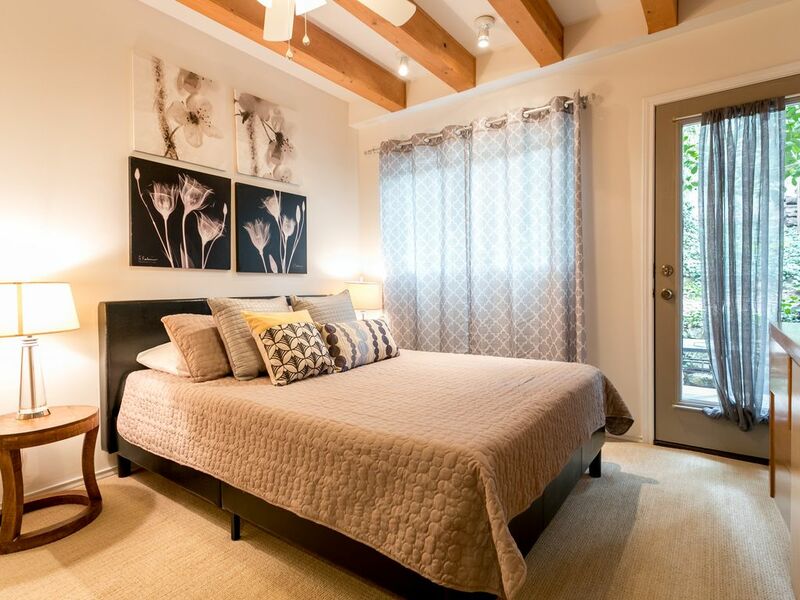 Home sleeps 8 in beds. Convenient to everything including shops, restaurants, spa’s and is under 5miles from Dwntwn – just a short 10 minute drive. 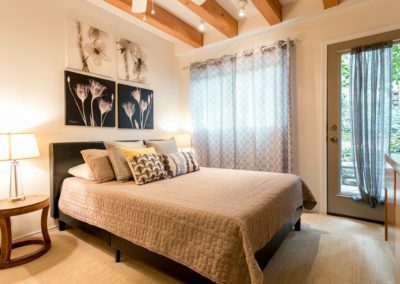 The master bedroom is on the top floor with amazing windows and a view of the backyard, includes a king sized bed, walk-in closet and a large spa like en suite with a shower/tub combo and skylights. 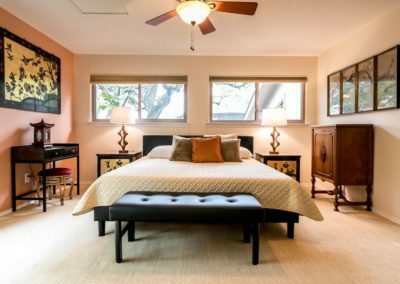 The White Lotus Room is a spacious bedroom located on the ground floor which includes a queen bed, wood beams on the ceiling, a large closet and has a private door to the backyard with its own private patio. 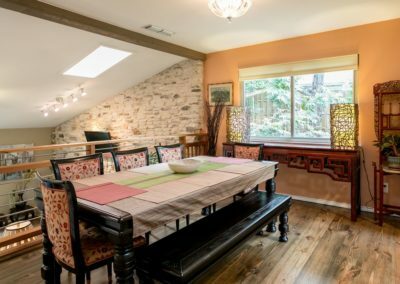 The Rustic Bamboo Room is located on the ground floor as well which includes a queen bed, closet and a hall bathroom that is shared. 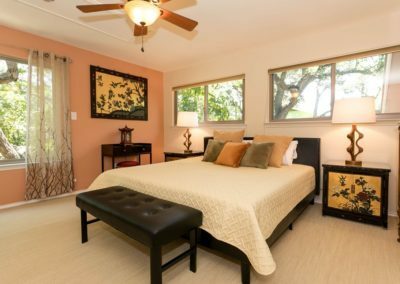 The Red Tiger Room is a small bedroom next to the master bedroom with a full size bed, closet and plenty of room one or two guests.